At Ultra Air Conditioning, we want our customers to get the most out of our expert HVAC installation, maintenance, and repair services. That is why we are very careful about the brands we suggest when customers come to us for new air conditioner installations. 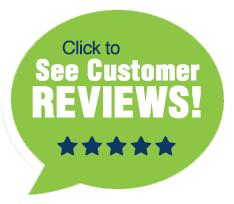 We recommend three leading brands to our customers: Trane, Rheem, and Daikin. These companies have a track record of offering the top air conditioners in the business, with an emphasis on energy efficiency and other features that matter to our customers. Here is a closer look at why we trust these brands. In 1913, James and Reuben Trane decided to stand out from the crowd by creating a comfort system that far outpaced the offerings of their competitors. That commitment to being the best still holds true for the Trane brand over a century later. Trane operates with the slogan “It’s hard to stop a Trane,” and the brand works to live up to that identity through rigorous testing and constant innovation. It is this unrelenting quest to build the strongest possible products that has earned Trane the distinction of having the most reliable and longest-lasting HVACs in the business, according to an independent product testing study. Trane believes that every customer who purchases an HVAC system should do so with the knowledge that they are getting a quality product that is designed to not only make their home more comfortable, but to also give them great value for their money. To reach their goal of standing out from the competition and delivering the best possible products and value, Trane only uses the highest quality materials that they can find. Then, they incorporate their advanced technology and put their products through some of the most rigorous testing in the business. Only after a product has passed harsh testing conditions can it wear the Trane name. If you want the most energy efficiency from your air conditioning possible, then you need multi-stage cooling. When HVACs are staged, the air conditioning can run between full cycles at less than maximum power to help maintain the temperature. The benefit of having multiple stages is two-fold. 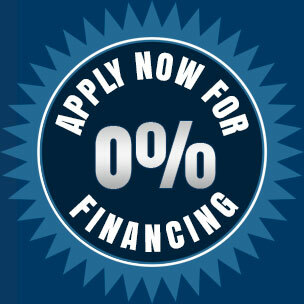 First, it allows you to maintain the highest level of comfort possible in your home. If you have ever experienced the feeling of getting too hot or too cold between system cycles, then you know just how important these in-between temperature tweaks can be. You don’t have to wait to get uncomfortable for your system to kick in, and you don’t have to adjust your thermostat over and over, trying to find the right middle ground. Secondly, when the system runs at less than full capacity to maintain your desired temperature, it doesn’t have to work as hard during full cycles. The extra stages can easily maintain your desired temperature to within 0.5%, while only using a small amount of power each time. This means that your HVAC system can operate with the best possible energy efficiency. Many HVAC units have one or two stages. 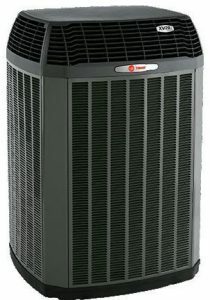 With the Trane XV18 and XV20i, you get 700 stages for the highest available levels of both comfort and efficiency. Additional stages also mean advanced temperature control, reduced sound, enhanced air filtration for better indoor air quality, and lower indoor humidity levels. Trane offers a variety of heating and cooling system designs, so you can find the perfect option to fit your home and your family’s needs. Remember, if you need a long-lasting HVAC system, Trane should be the first brand you consider when you visit Ultra Air Conditioning. Since Rheem opened its doors in 1925, the company has had one simple policy: listen to customers, keep their needs first, and act on giving them the products and services that they need. This commitment to customer service is what has made Rheem one of the biggest suppliers of heating and cooling products in the country. From heaters, air conditioners, and water heaters to pool heaters and commercial refrigeration, Rheem is an industry leader and is responsible for introducing many product innovations that are now standard features. It’s easy to trust the high-quality products Rheem offers, as well as their vision for making heating and cooling more efficient and effective in the future. Rheem Manufacturing Company was founded by two brothers, Richard and Donald Rheem, in Emeryville, CA. Initially, the brothers founded the company to produce galvanized steel drums that were intended for use in the oil industry. However, shortly after the business was started, they shifted to making automatic water heaters. Soon, the company was the largest producer of water heaters in the country. In 1956, they added air conditioning to their brand, and in 1970, heat pumps and HVAC units became part of their product line. Today, Rheem holds major market shares in water heaters and home heating and cooling units, and is recognized for both their service and their innovation. The Rheem Prestige Series Modulating R98V Gas Furnace. This furnace offers 98% Annual Fuel Utilization Efficiency, which means that you reap the rewards of energy savings all year long. This system also provides modulating operations and an ignition system that is nine times more reliable than other kinds of igniters. The EcoNet Smart Thermostat. This Wi-Fi enabled thermostat gives you extensive abilities to control your home’s indoor temperature, so you can make your home as comfortable as possible while using your heating and cooling systems more efficiently. It also provides local weather conditions and forecasts, so you can adjust the temperature settings accordingly. It can be integrated with Amazon’s Alexa and provides mobile access for the most energy efficient HVAC use possible. Integrated heating and water heating. For true efficiency, Rheem offers hydronic air handlers that can be combined with tankless water heaters, allowing the heat from the water to generate warm air for the home. Cooling coils are also available to harness water for cooling. Mini-split systems. These systems use the power of heat-pump technology to give you temperature control in targeted areas. This means that you won’t have to waste energy keeping unused spaces warm or cool. A mini-split system from Rheem can reduce your energy bills by as much as 24%. Rheem’s products offer superb quality and energy efficiency. No matter the size of your home and the needs of your family, Ultra Air Conditioning can help you find a Rheem system that will deliver the performance and efficiency you’re looking for. Daikin is unique in the air conditioning industry, as it is the only manufacturer in the world to produce both AC systems and refrigerants. This means that they can oversee every part of the process of creating air conditioning systems, ensuring flawless operation and the best possible performance. The result is incredible new levels of comfort in your home, no matter the shape or size and regardless of any issues you’ve had with air conditioning systems in the past. This kind of comfort is made possible by variable speed compressors that provide the right cooling capacity for your space, plus advanced zoning capabilities that ensure no energy is wasted on temperature control in unused areas. Daikin’s advanced zoning capabilities even allow for single-room heating and cooling solutions. Daikin’s inverter variable speed compressor is at the core of its energy efficiency. The compressor can change capacity to match the space it is cooling, so that it doesn’t over- or under-deliver. When compared to other systems that use a traditional compressor with a fixed speed, Daikin’s compressor leads to an approximately 30% reduction in energy use. The variable speed compressor also allows for targeted cycles that help to maintain a steady temperature, which reduces the number of times the system has to run at full power for extended periods in order to make your home comfortable. Individual temperature control also adds to the eco-friendly nature of Daikin’s designs. The temperate can be adjusted in single rooms or in designated zones throughout your home. As a result, you can adjust the temperature up or down according to where you are spending your time. This reduces your energy use, since it allows you to consume energy more efficiently, and ensures that each member of your family can relax in your home with maximum comfort. Air-purifying filters with photocatalytic deodorizing function. These filters attract particles that could be carrying bacteria and viruses. Each filter lasts for up to three years. Mold-proof filters. This type of filter is built with a net over the front that contains a non-toxic mold preventative. This helps to stop mold from growing behind your walls and infiltrating your air. Wipe-clean flat panels. These panels are included on many Daikin models, and can be cleaned quickly and easily by wiping a soft cloth over the surface. Daikin’s air conditioning systems also have multiple features that help to ensure each system lasts for years. The self-diagnosis feature means that your AC will alert you to a mechanical problem by displaying a code. You can use the code to determine what kind of repairs need to be made, before the issue causes bigger problems and the need for more extensive repair services. Daikin units also have an anti-corrosion coating on the heat exchangers to prevent damaging rust, as well as an auto-restart feature that memorizes your preferences for temperature and airflow—this ensures that the system will turn back on at the right level of operation after a power outage. Are you ready for an HVAC system that makes your home comfortable while giving you the benefit of energy efficiency? 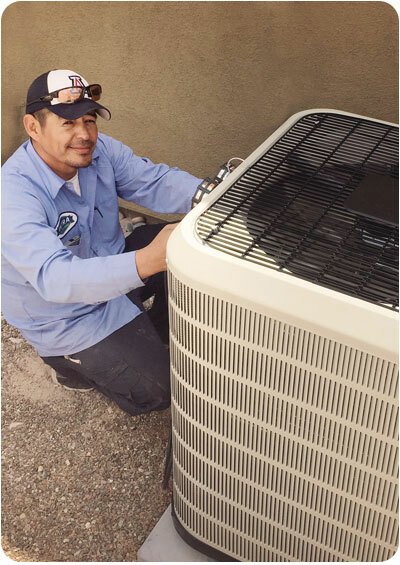 Contact Ultra Air Conditioning today to learn more about AC installation, as well as repairs and maintenance. Our techs can help you choose the best system for your home and ensure you get the longest life possible out of it. Call (520) 392-8008 to speak to a team member today.